Sundance Radio Communications has been a leader in two-way communications for both Retail and corporate clients in Calgary for the last 25 years. 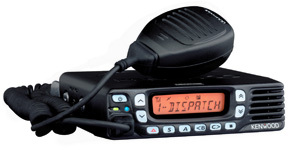 Kenwood offers the only class 1 division 1 A&B certified intrinsically safe 2 Watt radio. Due to the hazards of operating in these environments please contact us for a consultation. Kenwood’s newest NEXEDGE® model, the NX-420, is a high performance 800 MHz 3 Watt portable in an ultra-compact, rugged MILSTD 810 & IP54/55 platform. The NX-420 has exceptional yet practical user interface with four PF (programmable) control keys, an ergonomic 12-button keypad and a bright, widely viewable 8-character alphanumeric LCD. The NX-420 digital portable stays true to the NEXEDGE migration-ready tradition with multiple operating modes including analog conventional, analog LTR, NXDN® conventional and NXDN® trunking capabilities- PLUS, it has over-the-air programming (OTAP) and the groundbreaking NEXEDGE® audio refinements. 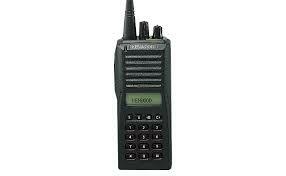 Kenwood has expanded NEXEDGE™ products to 800 MHz including the new NX-900 mobile. This will allow users to replace existing 800MHz systems and is designed for use by utilities, SMR operators, transportation, petro-chemical, government agencies and critical infrastructure. All are re-band ready and offer NXDN® conventional, conventional IP, trunked single site and multi-site network capabilities and operate in 6.25 and 12.5 kHz digital modes. A premium radio product requires years of communications equipment experience and a strict adherence to high standards in design, manufacturing and quality assurance. Kenwood facilities are proud to be internationally recognized as ISO-9001 certified and are pleased to bring “practical innovation” for the rigors of the real world by offering the TK-480 portables. As the requirements for users of trunking systems increase, Kenwood is there to meet the challenge with its new TK-980/981 compact mobile radios. Trunked mode operation with conventional and LTR&Req; systems at 800/900 MHz, along with built-in FleetSync&Trade; capability for alphanumeric two-way paging and other features put these models at the top of their class. The TK-980/981 mobiles allow you to stay productive with the outstanding performance and versatility that only Kenwood can deliver. Sundance Radio has been a leader in Two-way Radio Communications for both Retail and Corporate clients in Calgary for the last 25 years.